Experts fear that further discoveries could be lost if the government goes ahead with plans to build a tunnel for the A303. A century on from Stonehenge sale. English Heritage welcome families to Stonehenge during half term. ENGLISH Heritage is welcoming families to Stonehenge during the October half term next week to take part in an interactive, theatrical performance which will take families back one hundred years to the dramatic auction of 1915 where Stonehenge was put up for sale! On September 21, 1915, the New Theatre in Salisbury’s Castle Street was packed out as London auctioneer, Sir Howard Frank, gazed down from his rostrum as he desperately tried to drum up interest among the assembled bidders for the country’s greatest prehistoric monument – with the ancient stones eventually being sold for just £6,000. 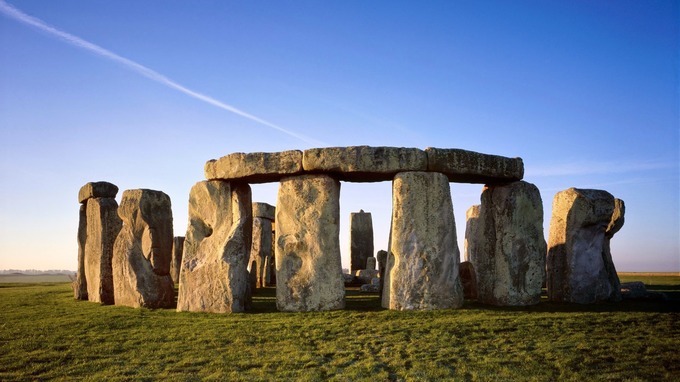 Last month English Heritage marked the 100th anniversary of Stonehenge – the most iconic prehistoric monument in Europe – being sold off one that historic auction to local Wiltshire man Cecil Chubb. The auction marked a turning point in the care of the ancient monument. 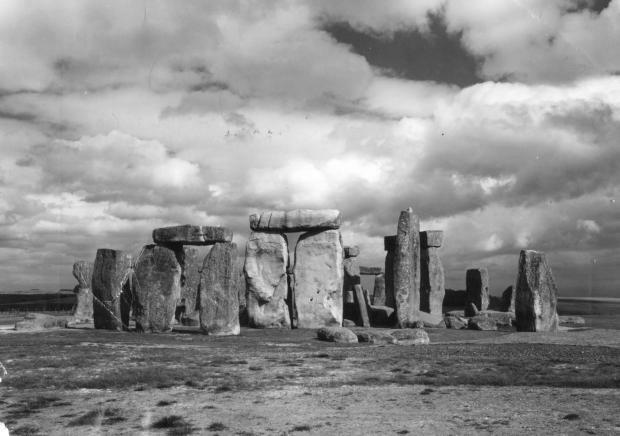 A series of major restorations and excavations began a few years later and Stonehenge went from isolated ruin to national treasure. Today it is cared for by English Heritage, and thanks to extensive work now sits within a restored landscape that gives a sense of its original setting. Now families are being invited to come and play their part and help bring the monumental historical moment to life in this centenary year, with this fun theatrical performance – specially developed for English Heritage by historical theatre company Time Will Tell who encourage audiences to learn about history by becoming active participants within their amusing and thought provoking theatre. The play is in two parts and is set to take place outside the visitor centre by the Neolithic Houses, every day of half term from Monday 26th October to Sunday 1st November, between 10am and 4pm. As the custodian of over 400 historic monuments, buildings and sites throughout the country, English Heritage’s endeavours to bring the story of England to life for over 10 million visitors each year and it is hoped that the latest activities at Stonehenge next week will offer children a fun way of learning about one of the world’s most fascinating prehistoric monuments. The Stonehenge exhibition and visitor centre will also be open to entertain the most inquisitive of minds and there is also the opportunity to pick up a family audio tour, explore our reconstructed Neolithic Houses and imagine what life would have been like for a Neolithic family four and a half thousand years ago! Hog roasts and cheese were among the favourite dishes eaten by a community living close to Stonehenge during the 25th century BC, according to a recent study published by the University of York. Researchers found compelling evidence on ancient Britons' culinary habits by analysing the archaeological site at Durrington Walls, a late Neolithic monument in Wiltshire. DNA evidence found on the remains of pottery pointed to mass-consumption of whole-roasted pigs and cows, while dairy products such as cheeses, yoghurts and milk, found in lesser quantities, seem to have been reserved for the elite or ceremonial use. Durrington Walls was recently uncovered as the largest preserved stone monument in Britain, thought to have been built 4,500 years ago. According to the study, it was most probably used as a settlement for workers who built Stonehenge. However, unlike Stonehenge, which was primarily a burial place, Durrington Walls was the site of a lively community, which explains why archaeologists have been able to find more than 11,000 fragments of food-related items such as animal bones and pottery. Professor Mike Parker Pearson, of University College London and director of the Feeding Stonehenge project, said: "This new research has given us a fantastic insight into the organisation of large-scale feasting among the people who built Stonehenge. Animals were brought from all over Britain to be barbecued and cooked in open-air mass gatherings." The study shines a light on working patterns as well. With cattle brought in from across Britain and extensive feasting patterns, the study concludes that this was a slave-free community, with volunteers making up the bulk of the population. Dr Oliver Craig, reader in archaeological science at the University of York and lead author on the paper, also points out that evidence of food-sharing at Durrington Walls shows a "greater degree of culinary organisation than was expected for this period of British prehistory". He adds: "The inhabitants and many visitors to this site possessed a shared understanding of how foods should be prepared, consumed and disposed."